What are you crushing on this holiday season? I love velvet all year round but I fall especially hard for it during the holidays. I love the way it looks and the way it feels, and there is something quite extravagant and mysterious about it. 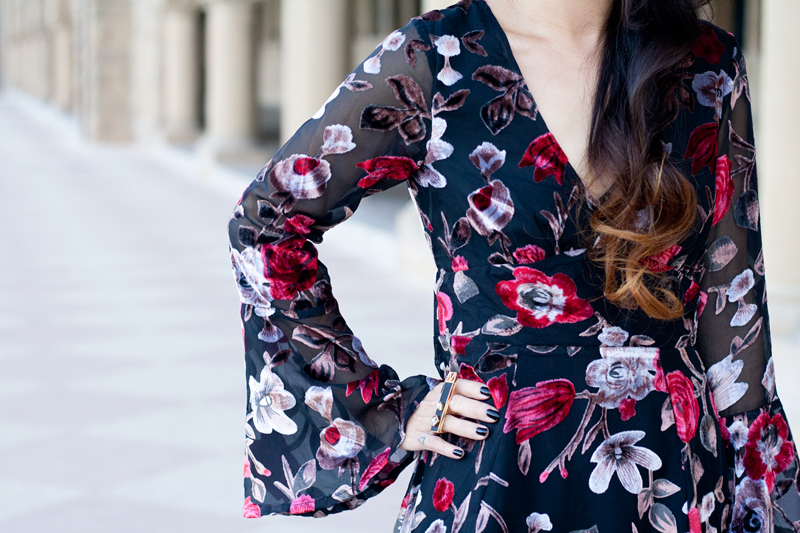 This gorgeous velvet floral dress from LuLu*s I wore on Thanksgiving Day is the perfect example! 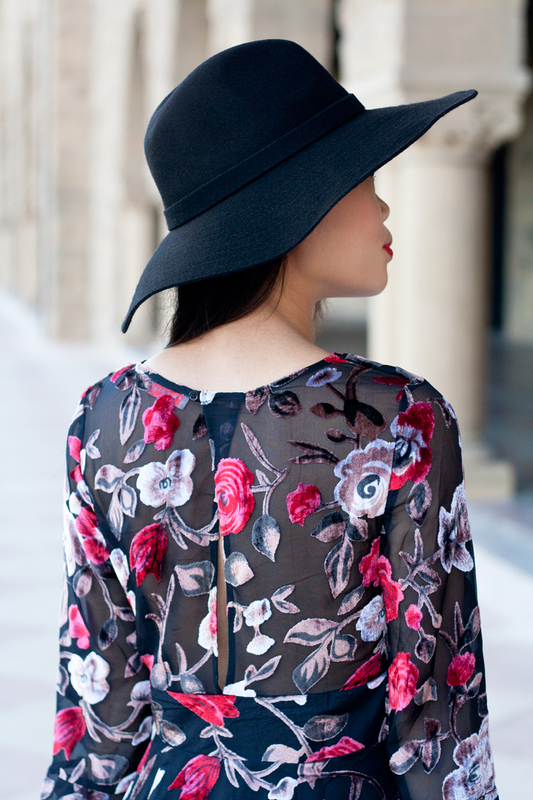 It's a LBD with a fancy touch with its stunning velvet florals, sheer chiffon, and bell sleeves! This isn't the only holiday-perfect dress from LuLu*s, there are plenty more to choose from! Initially, I grabbed a black purse to go with the outfit but felt that it made the look too black and slightly witchy. 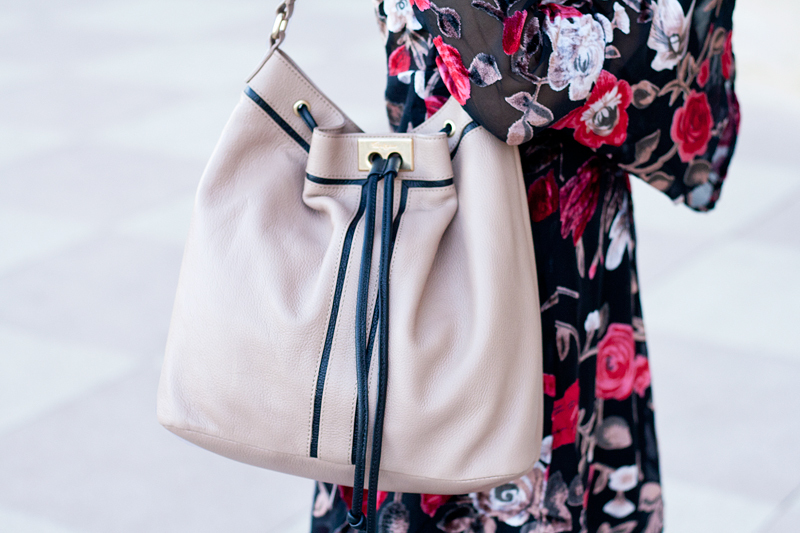 So, I went with my new Foley + Corinna Becker shoulder bucket bag instead and loved how the almond taupe color offset the overall black! Anyways, stay tuned for more holiday attires! 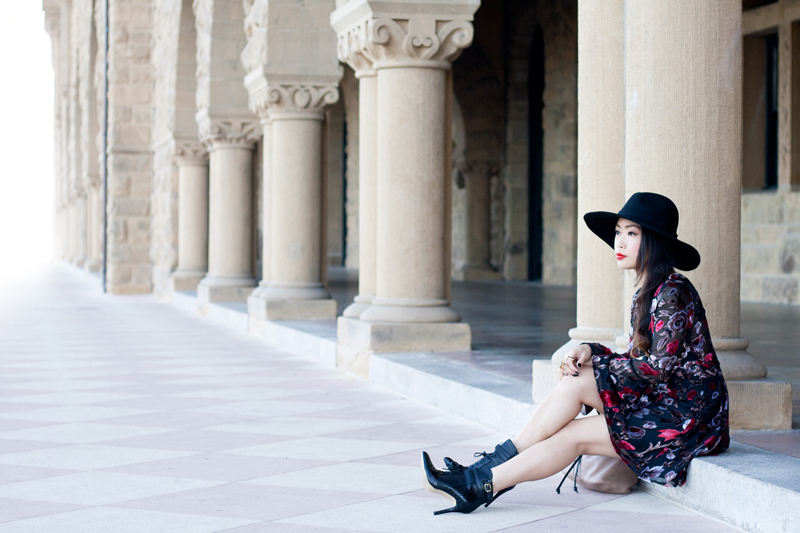 Bells and Thistles velvet floral dress c/o LuLu*s.
Becker shoulder bag c/o Foley + Corinna. Wide brim fedora hat c/o F21. Croc ankle boots by Altuzarra for Target. 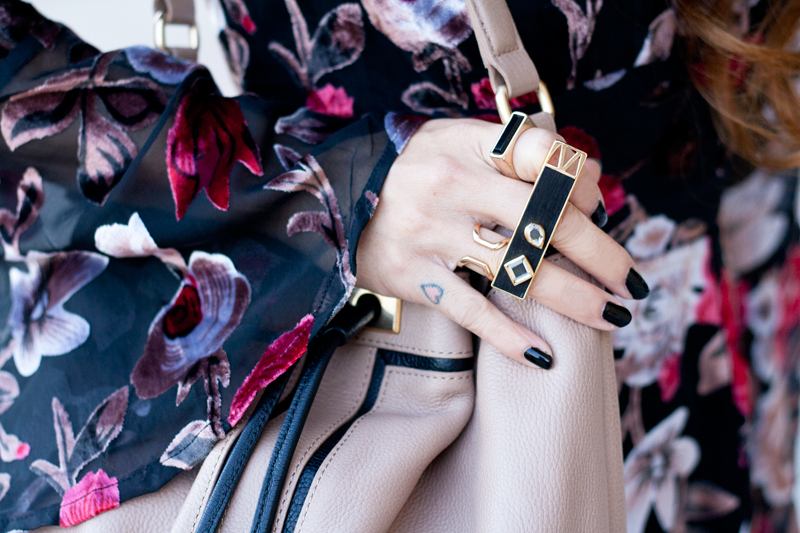 Black and gold statement ring (soon to be released) c/o Blossom Box Jewelry. I love velvet around this time of year too. This dress is so cool with the sheer fabric mixed with velvet. It looks amazing on you! Wow, gorgeous outfit! The dress is amazing!